WPAZ Is Back On The Air! WPAZ started broadcasting again Thursday, December 30th at 2:00 p.m.
Let’s suppport WPAZ so we don’t lose it again! So it would seem because the economy has improved, albeit very little, and we all spent a few extra dollars on Christmas presents – GREEN LIGHT – it’s okay a gouge us at the gas pump. Some mumbling about commodities, the dollar is worthless, gas supplies are good and all that rot. So bend over America! Gas prices have risen nationally, 16 cents over last month and 46 cents over last year! The price of a gallon of regular unleaded gas is $3.05 (national average). Many people are only doing absolutely necessary driving, me included! This is highway robbery! Time for another boycott! Seems if we don’t buy anything, the price of gasoline will come back down following this logic! Great way to stimulate the economy, not! Citizen’s Bank is not renewing their lease in a large downtown Norristown commercial building, leaving borough and county officials scrambling to find a new tenant! A Birdsboro couple got into an argument while visiting relatives in Reading. The argument led Chukwudubem Agha Okafor, 64 of Birdsboro, to shoot his wife, Cheryl V., 37, and then turn the gun on himself. The couple was in the living room of a home on Pear Street at the time of the shooting. Cheryl’s sister and her three children were home at the time of the shooting and ran into the street screaming for someone to call 911. When police arrived they found both bodies in the living room and a .380-caliber handgun. It is unclear whether the children saw the shooting. Police have released details regarding the two bodies that were found on Tuesday inside the Governor Mifflin Apartments in Cumru Township. Karen Wanner, 54 of Shoemakersville, was stabbed numerous times and then shot in the head by Edward Arrivello, Jr., who also took his own life. The two had previously lived together. Police were following up an a missing persons report on Karen Wanner when they found the two bodies in a rear bedroom of the apartment. Police were unable to determine the exact time of death and it is unclear who reported Karen Wanner missing. A knife and gun were found at the scene. Norristown Borough Council unanimously adopted their 2011 budget tonight that features a tax increase of 12.74%. No layoff’s were announced. Interestingly enough, Norristown’s budget is approximately $14 million dollars less than Pottstown’s budget. Wonder why it costs so much less to run a larger borough?????? Viewing and funeral information for Pennsylvania State Senator Mike O’Pake has been announced. Senator O’Pake was a devout Catholic and services will be held at his beloved St. Margaret’s RC Church, 925 Centre Avenue in Reading, PA.
Public viewing times are Sunday, January 2, 2011 from 3 p.m. to 8 p.m. and Monday, January 3, 2011 from 9 a.m. to 11:30 a.m. A Mass of Christian Burial will follow at noon. Interment will be private. Senator O’Pake was a true public servant who worked tirelessly for all the people of Berks County. He will be sorely missed. A new 80,000 square feet indoor marketplace is opening across from the Farm Show Complex in Harrisburg, either late January or early February 2011. The marketplace will feature a variety of vendors, selling a vast array of merchandise. A food court is being added in addition to merchant space, galleries and co-op retailers. Another unique feature of the market is a stage and seating area where demonstrations, children’s activities and musical acts can take place during market hours. 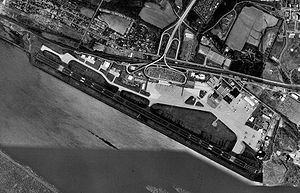 North End Markets has a prime location, across from the busy Farm Show Complex and easy access to Interstates 81 and 83 as well as Routes 22 and 230! North End Markets will be open every Friday and Saturday from 8:00 a.m. until 5:00 p.m.
PA State Senator, Mike O’Pake, a tireless advocate for Berks County and Reading has died after undergoing heart bypass surgery on November 22, 2010. Senator O’Pake seemed to be doing better, so his death today took many by surprise. That certainly didn’t last long. Donovan McNabb wants out. Anybody remember “Please Release Me” by Engelbert Humperdinck? Now that Mike Singletary has been fired as head coach of the 49ers, there is some speculation that good old number 5 might end up in San Francisco. Time will tell. Will Donovan leave his heart in San Francisco? Hat Tip to Chris Huff for bringing the story to my attention! Here is another story from the Philadephia Inquirer with their take on the lower-income rental complex proposed for Norristown and includes Pottstown in their discussion. Another hat tip to Chris Huff for the link! In 2001, downtown Wilkes-Barre hit bottom. There was no reason to go there and the merchants who remained wanted out. 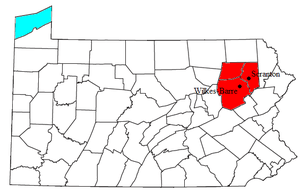 Kings College and Wilkes University tried to keep students on campus and played down their downtown Wilkes-Barre locations. Now, on the verge of 2011, things are reversed. Businesses are relocating downtown, Wilkes and Kings proudly show prospective students downtown Wilkes-Barre and the downtown is now viewed as a “destination” by Wyoming Valley residents. How did this miraculous transformation occur? Four community meetings were held which drew 1,000 people. These meetings spawned Diamond City Partnership, a public-private alliance for downtown revitalization http://www.wbdcp.com/about.htm. After years of hard work and “seed planting” center city Wilkes-Barre is “the place to be” again. King’s College and Wilkes University have invested over $30 million dollars in downtown Wilkes-Barre by expanding and renovating their campuses. There are 6,500 students between both schools. With the abundance of clubs, bars, restaurants, stores, coffee shops, the Kirby Center and a 14-screen Cineplex, downtown Wilkes-Barre is a draw for students and residents alike. This renaissance is helping the recruitment efforts of both colleges and is attracting new downtown residents who are looking for city-living in a “walk to everything” environment. More residents downtown will help spur more economic development. Wishing you and yours love, peace and joy during this most holy season. Our beleaguered capital city shot up 25 places on WSJ‘s MarketWatch‘s Best Cities For Business annual ranking. Harrisburg ranked 34th in 2009 and 9th for 2010. Criteria changed this year which helped Harrisburg achieve a much improved place on the list. Tourism, military GDP and personal income helped propel Harrisburg to a Top 10 spot. Harrisburg also has a high ranking of Russell 2000 companies, Forbes Private Companies and of course, Hershey Foods in its suburbs. More changes are expected next year that could make it difficult for Harrisburg to maintain a Top 10 spot as economic stability will weigh in more heavily next year. We all know the City of Harrisburg has some problems in that area! Washington, D.C took top honors this year. Pittsburgh ranked 18th, Philadelphia ranked 29th, Allentown and Lancaster tied at 63rd place and Scranton came in at 100. The survey included 102 cities with metro areas over 500,000. I would say that is a decent showing from Pennsylvania! Phoenixville Borough Council has passed a 2011 budget with a 9.9% property tax increase. No police officers were laid-off but there were 5 casualties in other departments. Raises for borough employees are not happening in 2011 and employee health insurance co-pays were increased. Council is bringing back a per capita tax (eliminated more than 10 years ago) which will amount to $10.00 for each borough resident over 18 years of age. The budget vote was deadlocked at 4-4 but Mayor Scoda voted “yes” to break the deadlock and pass the budget. Phoenixville residents are also looking at increases in sanitation fees, water rates and sewer rates. In addition, Council removed fireworks funding for the Fourth of July celebration in the borough from the 2011 budget. Air travel is improving! Harrisburg International Airport (HIA) is projecting a 14% increase in passengers over last Christmas. Last month traffic was up 12% over November 2009 and year-to-date the airport has seen 7.3% increase in passengers. Full body scans and pat-downs had no impact on air travel over Thanksgiving. So good old Chunky Soup finally opens his yap about getting demoted to third-string QB for the Redskins. Of course, McNabb blames Coach Shanahan for not giving him a chance and for leaking news to the media before he was aware. First of all, your performance this season should have been a clue that things were not exactly going according to plan. 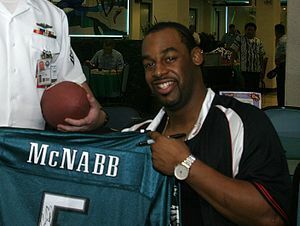 I think this is the worst season I remember for McNabb. It’s been a downward spiral. As far as being disrespected, I think you need to put your big boy pants on and own up to the fact you have been a huge disappointment to the Redskins. Maybe they feel a little disrespected by your abysmal performance this season. Andy Reid is not around anymore to coddle your ego and make excuses for you. Plus the rest of the Eagles team is outstanding and propped up your inconsistent behind week after week. So Donovan, you have nobody to blame for the predicament you find yourself in except you. The rest of the NFL is not as nice as Andy Reid! YorIT, a York County Community Foundation has a Social Venture Fund with $20,000 and is looking for a person or persons with “new, creative, out-of-the-box ideas that can attract retailers and restaurants to the area as well as get more people to come downtown” to give it to. I seriously think I should move to York! I am continually amazed at the level of cooperation between the city, county and private sector. 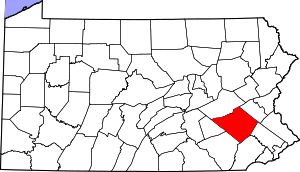 How refreshing to see that suburbanites get that York City is the heart of York County and are trying to do all in their power to revitalize it! Around here, it’s the opposite. Most suburbanites do not seem to care if places like Philadelphia, Norristown and Pottstown fail. Many avoid coming into these places at all costs. Very sad.